Neighborhood Meeting Series – Save the Dates! 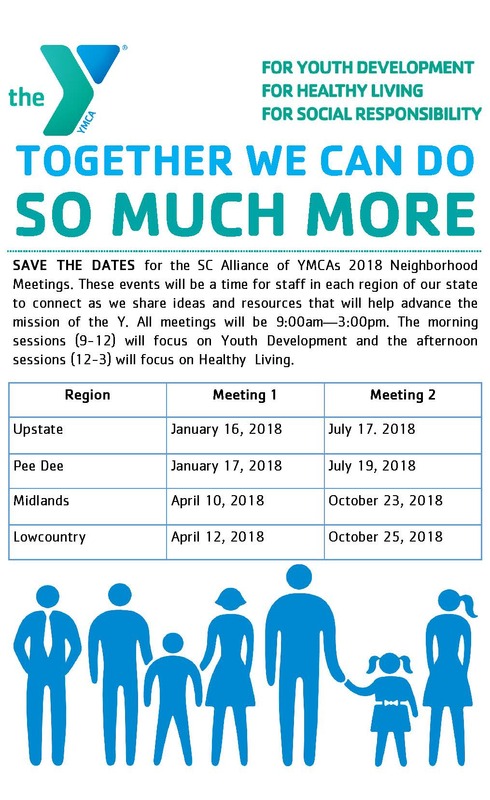 SAVE THE DATES for the SC Alliance of YMCAs 2018 Neighborhood Meetings. 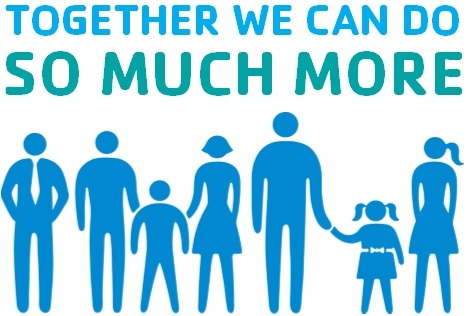 These events will be a time for staff in each region of our state to connect as we share ideas and resources that will help advance the mission of the Y. All meetings will be 9:00am—3:00pm. The morning sessions (9-12) will focus on Youth Development and the afternoon sessions (12-3) will focus on Healthy Living.